Complete this form for prompt service. We’ll contact you to set up an appointment at your preferred time. Appointments are processed M-F 8am-7pm and Saturdays 8am-12pm. 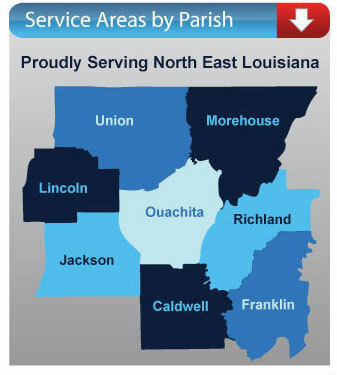 If you need emergency repairs outside of these hours or on a holiday please call (318) 325-3250 and we will get back with you shortly. Service Request online – M-F, 7AM – 5PM.